On the 150th anniversary of the birth of Oscar Wilde, it seems apt to draw attention to one of the more surprising letters in Henry Wellcome’s papers. 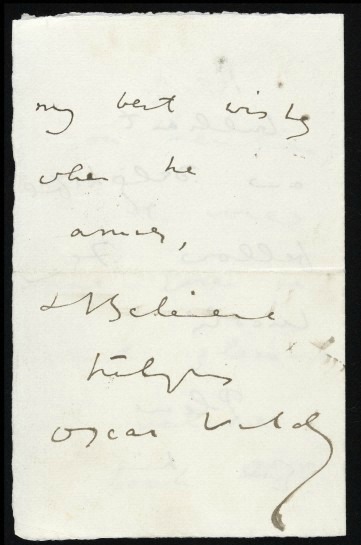 Why would Wilde be writing to Wellcome? The answer reveals a surprsing string to Wellcome’s bow: entertainment impressario…. 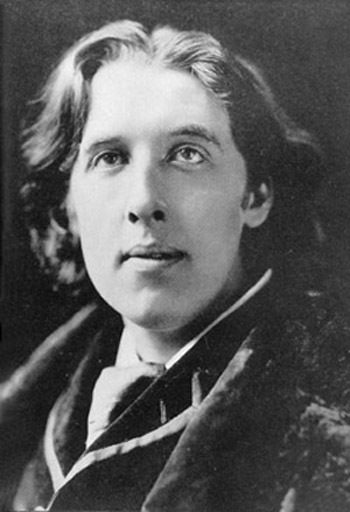 Portrait of Oscar Wilde, New York, 1882. Photograph by Napoleon Sarony. Image credit: Wikimedia Commons. After moving to London in 1880 and establishing himself in business with fellow American pharmacist Silas Burroughs, Wellcome became an energetic presence on the London social scene. The circles he moved in were intially those of fellow Americans. 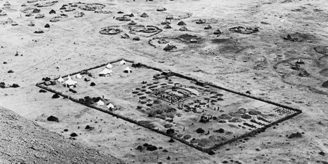 Indeed, it’s said that some of his fellow ex-pats – such as the explorers May French Sheldon and Henry Morton Stanley – heightened his interest in the exploration of Africa in particular. And whilst it would be going too far to draw Wellcome as a social gadfly, material in his surviving correspondence does suggest a man drawn to a good many social occasions and group events. Wellcome seems, however, a man more comfortable in organising a party than attending one. 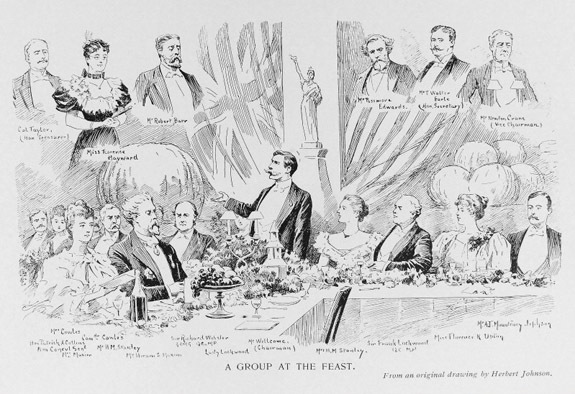 Henry Wellcome (standing) at the Thanksgiving Day Banquet of the American Society In London. From the Supplement To the Souvenir of the Thanksgiving Day Banquet of the American Society In London, 1896. 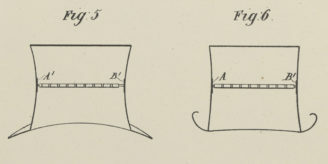 Wellcome Images reference no. L0033982. One such instance was in May 1884. Wellcome was a fan of the American comedian Frank Lincoln and booked the large Princes Hall in his honour, for an evening to showcase his talents. He invited the great and the good of London society, including Oscar Wilde. I am sorry I will not be in England on the day you mention, as, it would have given me much pleasure to welcome back that brilliant and delightful fellow, Frank Lincoln. Please give him my best wishes when he arrives. As it turned out Wellcome was unable to pass on Wilde’s best wishes, as Lincoln cancel his appearance at very short notice. However in true ‘the show must go on’ style, Wellcome instead hired William Winch, a rising American tenor to attend in Lincoln’s place: 600 guests were invited for a late evening buffet, with accompanying entertainment from Winch. In the words of Wellcome’s biographer, Robert Rhodes James: “One newspaper report of this lavish event referred to Wellcome as a millionaire; this he certainly was not, but he took no steps to deny it”. Wellcome the Businessman, knowing that this was the kind of publicity that would do his fledging pharmaceutical business no harm at all.